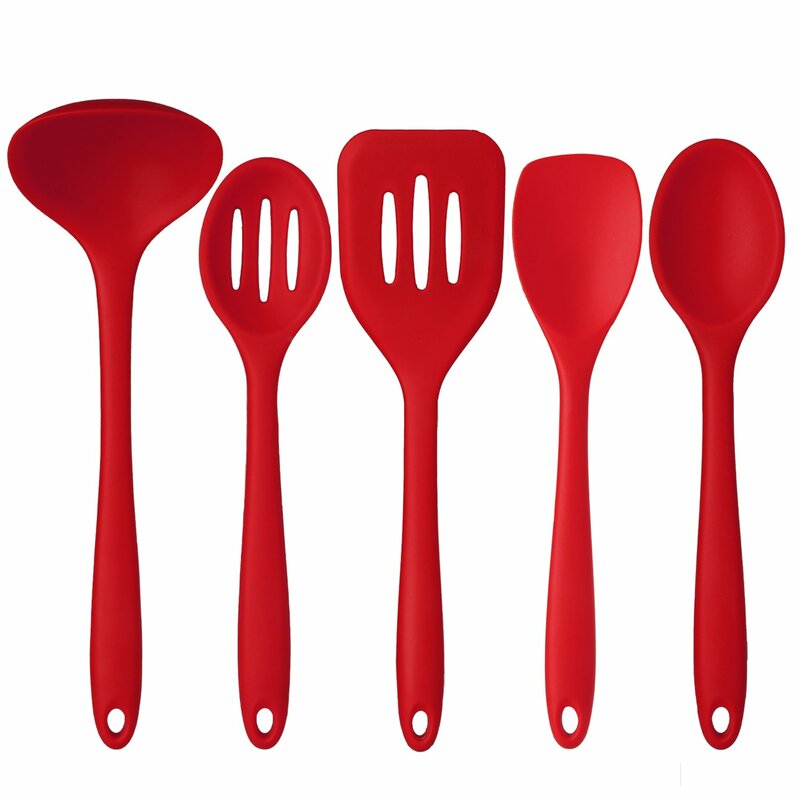 Home › Home and Kitchen › Deik Silicone Kitchen Utensils Set 5 Piece Of Premium Hygienic Non-Stick Dura..
Deik Silicone Kitchen Utensils Set 5 Piece Of Premium Hygienic Non-Stick Dura..
5pc pack set, Flexible and Non-Stick with premium design. Includes 1 x ladle: 11.2" * 3.5", 1 x spatula: 10.8" * 2.3", 1 x slotted tuner: 11.8" * 3.1", 1 x solid spoon: 10.4" * 2.4", 1 x slotted spoon: 10.6" * 2.3". Constructed of high quality 100% pure food grade silicone and stainless stell, Meet FDA and LFGB standard, BPA free, Non Toxic. They will handle years of stress in the kitchen or on the outdoor barbecue. Designed for durability, with a strong steel core, ergonomically designed handles and the perfectly shaped heads, now they are silicone utensils for every job. Easy to use and clean, Simply wipe under hot water or throw them in the dishwasher. Heat resistant silicone molds-Wide Range Temperature tolerance: -40 to 450F (0-230C). Great idea for gift, anyone who loves cooking or making people start loving cooking. Buy with confidence - With Guarantee quality, we accept returns within 30 days after purchase for full refund or exchange.